While many of your clients may be coming in for the "new year, new you" passion, what are you doing new, as a business? Has your signature treatment been your most popular this last year? If not, it may be time to reinvent your signature. Whether it be a new scent added to the space or into treatments, or an entire new color or theme, when was the last time you had something completely fresh and new to excite them? For those looking for big drastic changes to get their clients attention at the door, how about new reception furniture, fire or water features or a relaxation room? For more subtle transformation, how about placing diffusers around with one specific scent (or blend), adding complimentary Voesh or Eco Fin treatments for clients who purchase packages? If you want to revive clients eyes, how about adding a splash or color (or new color), with linens? From sheets and blankets to robes and slippers - even mag lamps, your clients will notice! Get an "In Spa" Fireplace Without all the Wood! As a self-proclaimed candle aficionado, I am constantly seeking out the best smelling, most cutting edge candles out on the market. Now that autumn is here, I am obsessing over our Timberwick Fireplace Crackle Soy Candles that we have here at Pure Spa Direct! I don't live in the woods, but these candles produce a fire crackle sound when lit. How cool is that?! Honey Spice: Comforting blend of honey, anise, clove and a touch of lemon. 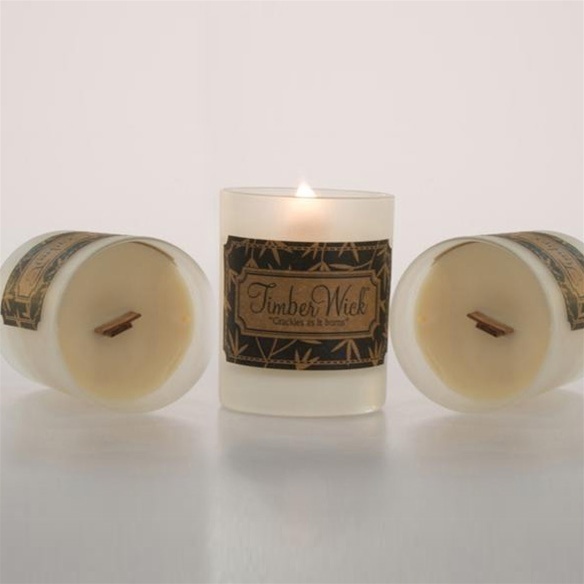 Amber and Cedar: Sultry amber combined with woodsy cedarwood and fruity currant. Lavender Citrus: Calming lavender blended with violet, a touch of warm vanilla and fresh citrus. Not sure which scent to try? I highly recommend you check out the "Try Me" Package" which comes with all three scents. I guarantee you (and your clients) will love them all!